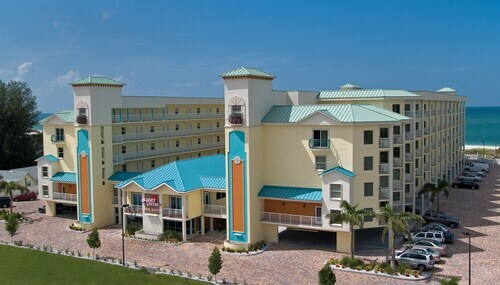 Nestled on the beach, this Treasure Island hotel is 1 mi (1.5 km) from Dolphin Marine Rentals and 2.1 mi (3.4 km) from John's Pass Village & Boardwalk. Upham Beach and Hubbards Marina are also within 3 mi (5 km). 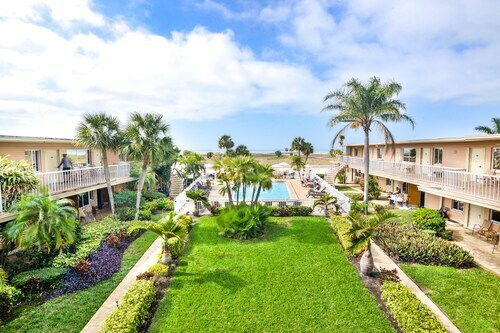 Located along the Intracoastal Waterway, this smoke-free hotel is across the street from the Gulf of Mexico, a public beach, and within walking distance of restaurants and bars. 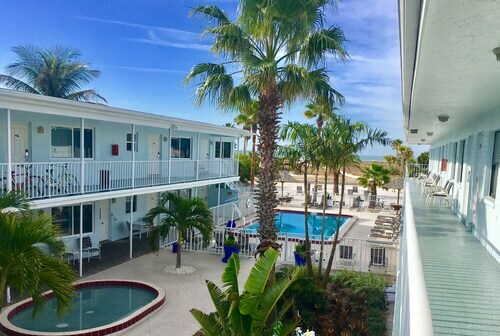 Nestled on the beach, this Treasure Island resort is 0.1 mi (0.1 km) from Dolphin Marine Rentals and 1.3 mi (2.2 km) from John's Pass Village & Boardwalk. Hubbards Marina and Treasure Bay Golf and Tennis are also within 2 mi (3 km). 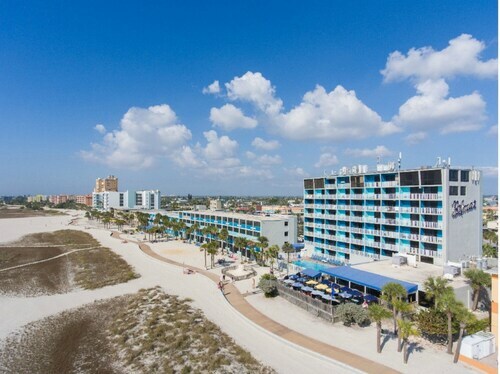 Nestled on the beach, this Treasure Island hotel is 0.2 mi (0.3 km) from Dolphin Marine Rentals and 1.4 mi (2.3 km) from John's Pass Village & Boardwalk. Hubbards Marina and Treasure Bay Golf and Tennis are also within 2 mi (3 km). 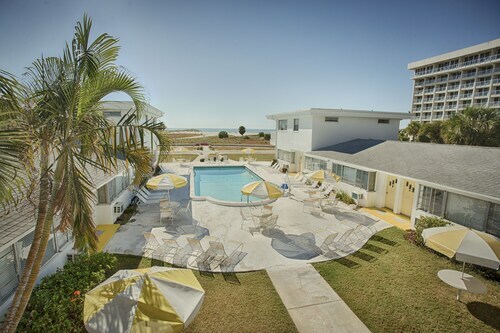 Nestled on the beach, this Treasure Island motel is within 1 mi (2 km) of Dolphin Marine Rentals and John's Pass Village & Boardwalk. Hubbards Marina and Treasure Bay Golf and Tennis are also within 1 mi (2 km). 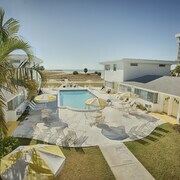 Situated by the ocean, this motel is within 1 mi (2 km) of Dolphin Marine Rentals and John's Pass Village & Boardwalk. Hubbards Marina and Alligator Attraction are also within 1 mi (2 km). 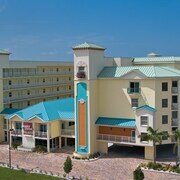 Nestled on the beach, this Treasure Island hotel is 0.3 mi (0.6 km) from Dolphin Marine Rentals and 1.6 mi (2.6 km) from John's Pass Village & Boardwalk. Hubbards Marina and Treasure Bay Golf and Tennis are also within 2 mi (3 km). 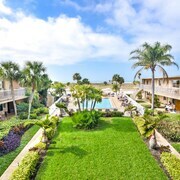 Nestled on the beach, this Treasure Island condo resort is within a 15-minute walk of Dolphin Marine Rentals and John's Pass Village & Boardwalk. Hubbards Marina and Alligator Attraction are also within 1 mi (2 km). 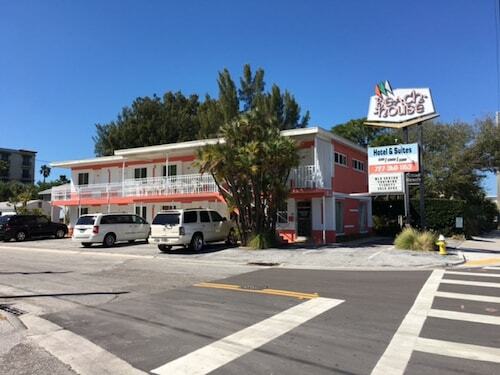 Nestled on the beach, this Treasure Island motel is within 1 mi (2 km) of Dolphin Marine Rentals and John's Pass Village & Boardwalk. Hubbards Marina and Alligator Attraction are also within 1 mi (2 km). How Much is a Hotel Room in Treasure Island? 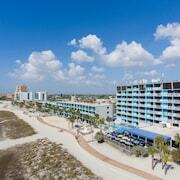 Hotels in Treasure Island start at $71 per night. Prices and availability subject to change. Additional terms may apply. Pack your bags—it’s time to embark on a getaway. 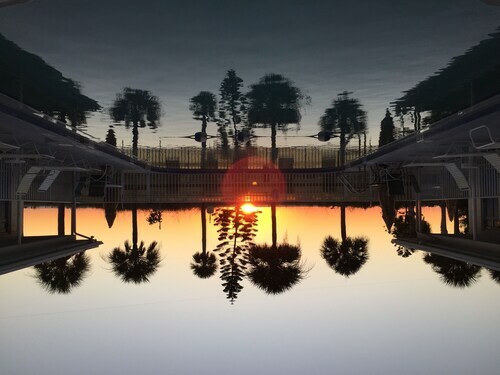 Whether you’re craving a solo retreat or promising your family a vacation to remember, book one of the best hotels in Treasure Island. These hotels are located within easy access of the city’s hottest attractions and entertainment, so you won’t miss a beat while you’re in town. Spend the days exploring the local landmarks and the evenings getting to know the nightlife. After exploring the city from top to bottom, rest up at a hotel that speaks to you. Find the perfect place that matches your trip’s vibe, from a trendy boutique to family-friendly accommodations. 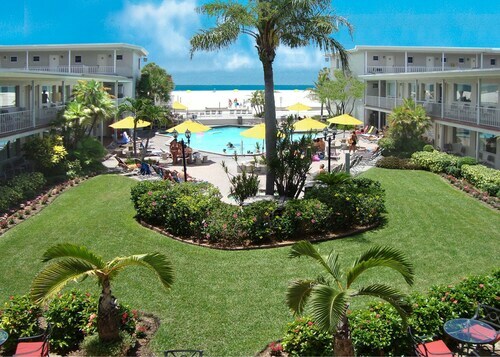 Allow us here at Travelocity to pair you with up Treasure Island hotels that suit your vacation preferences. Discover places with convenient on-site restaurants, around-the-clock service, and pools where your kids can make a splash. Some hotels may boast fitness rooms and spa services, while others feature game rooms and Wi-Fi access. To top it all off, you’ll score cheap hotels in Treasure Island that let you spend more on your activities and less on your lodging. Book and bundle your flight and hotel deals together today and save up to $537. It’s time to explore a new city, and break out of your routine. The location of this property is wonderful. We parked the car and walked to area restaurants. There also is a Walgreens and a Publix very near the hotel. The Thunderbird was by far the hotel with the most action. 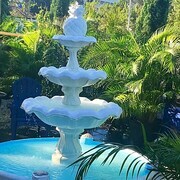 They have a tiki bar that is very popular and the location of the pool makes a fun atmosphere. The living area of the rooms have been remodeled. However the kitchen and baths are in need of a makeover! We would stay here again because it really was fun and the staff were all very friendly. The staff were awesome - very hospitable, informative about restaurants in the area, and accommodating. Would have liked to have had workout facilities. My room was updated and very clean. 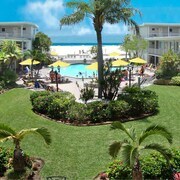 Hotel is right on the beach and within walking distant of many great bars and restaurants. This property is right on the beach with easy access over the dunes via a wooden path. The property is very clean and appears to be well taken care of. Breakfast and lunch is available at the small restaurant on the second floor above the lobby and there is a beach bar at the rear of the property.. They have a kiddy pool as well as an adult pool. The pool stays open until 10 PM . Each room has reserved parking space so no worries about parking if you go out to dinner or see the sights. All rooms are 2 bedroom and 2 bath with a fully equipped kitchen if you prefer to eat in. I highly recommend. 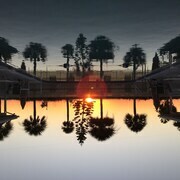 I liked that it was on the beach and had a nice pool area, with a bar. It was walking distance to many shops and restaurants so we never had to drive. I was in an updated room, but I thought the bathroom could have used some updating too. The AC was also very loud. But then again, I was not at a beach resort to spend the whole time in my room, so it worked out great for us.